Ellicott Dredges is one of the leading dredge manufacturers in the U.S. and around the world. Our Series 370 Dragon® dredge is one of the most popular and successful small-size range cutter suction dredges in the industry. Customers range from new, first-time operators in remote areas of the world, to general contractors, private owners, and government agencies throughout the United States. 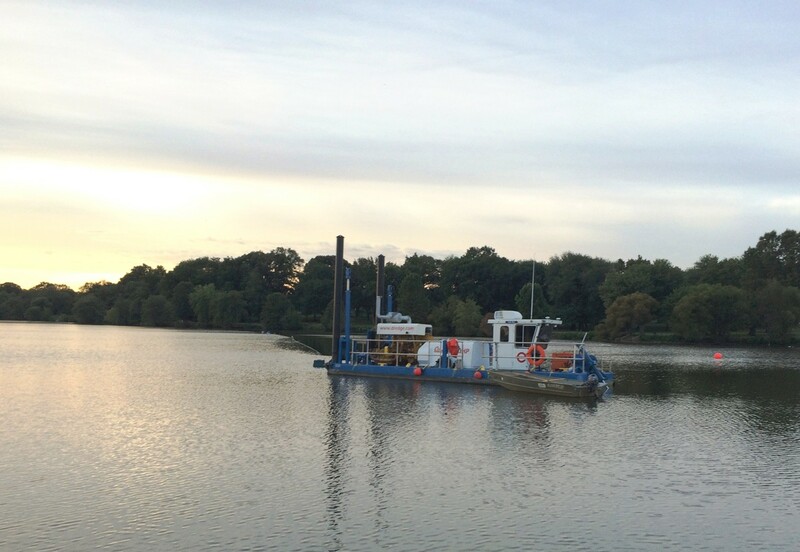 • Highly rugged and reliable cutter suction dredge, offers minimal downtime with basic routine maintenance. • Control system, engine, and mechanical components selected explicitly for use in tough marine environments. • Versatile—used for sand mining, dredging of small waterways, canals, and marinas.